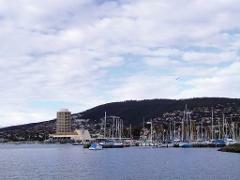 Experience Hobart where you will Indulge in culinary delights. Explore fascinating Museum of Old and New Art (MONA) and bustling Salamanca Market. Discover Bruny Islands spectacular landscapes, gourmet produce and unique wildlife.